A high quality but affordable personal training service that gives you flexibility in your fitness routine is something that London has been calling out for, until now – step up to the plate, WeTRAIN. 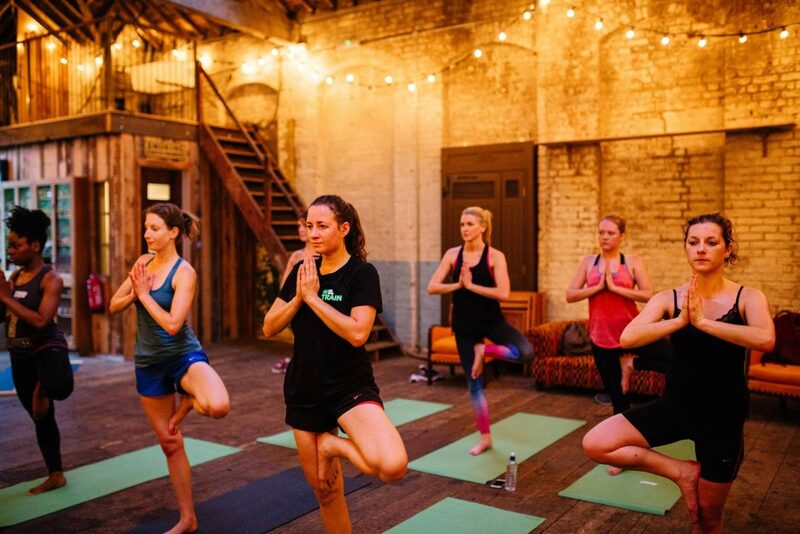 Get a group of friends or fitness loving buddies together and enjoy an array of different classes from yoga, barre, Pilates, Bootcamp and HIIT, all hosted by London’s best instructors. WeTRAIN make it simple too – at just £12/class, you sign up, invite your friends then workout in small groups (max 8 people), at various venues popping up both indoor and outdoor. 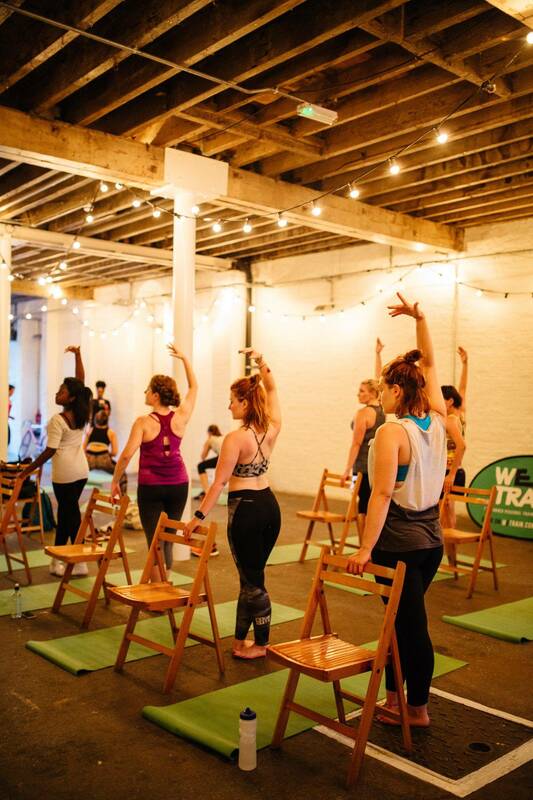 At the WeTRAIN launch party a few weeks ago, we got a little taster of some of the sweaty sessions available – first up Fit for Function with Elle before a more chilled out Vinyasa Yoga class with Emily. Elle put us through our paces with a mix of cardio drills and strengthening exercises, and her classes are perfect for those looking for a new challenge as no two are the same. Emily brought us back down to earth a little on our yoga mats, but not quite, throwing in some tricep press ups and reverse planks into the mix. 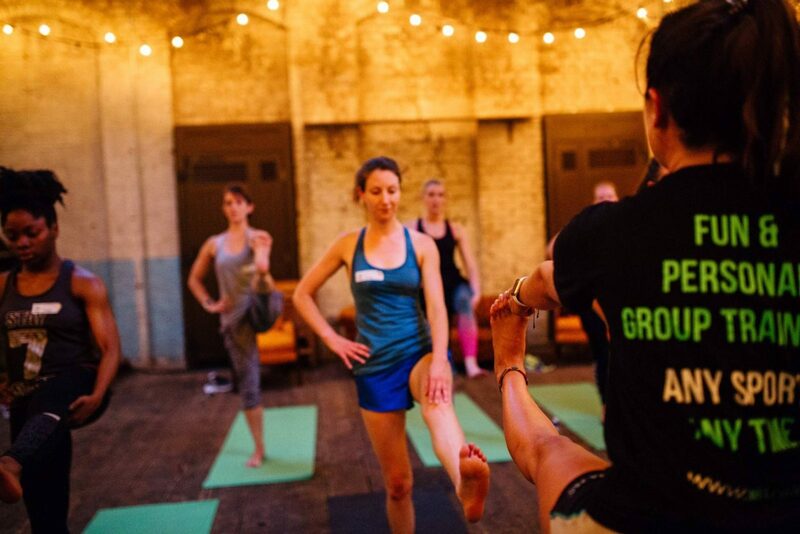 There’s really something for everyone with WeTRAIN, just choose a class you fancy mastering and shake up your normal routine, push your boundaries and train with friends to keep it fun and carefree. 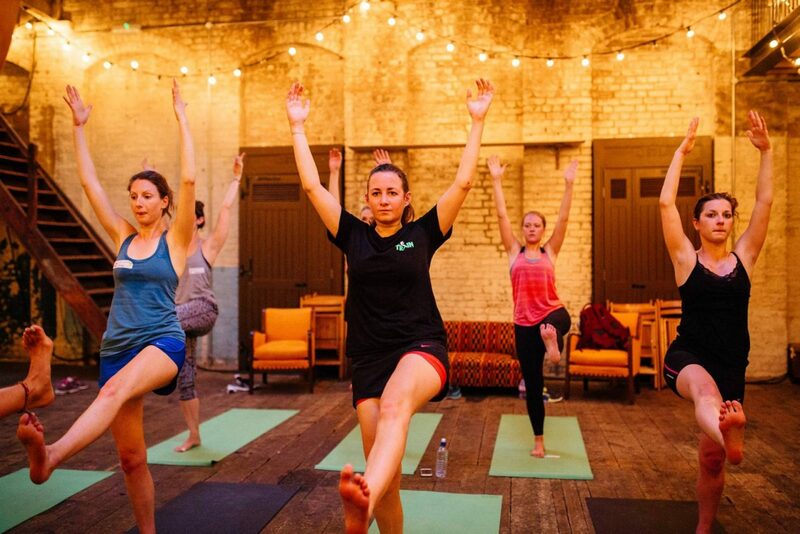 If you’re a South Londoner, count your lucky stars – WeTRAIN have started their classes in Clapham and Brixton – and fingers crossed things take off for them and they will continue to grow and stretch out further into the city. They’re also launching WeDISCOVER and WeEXPERIENCE – more chances to either discover a new sport or skill, or do something truly unique and special, sharing your experience with friends. See you soon at the barre, on the mat, mid-burpee? ?